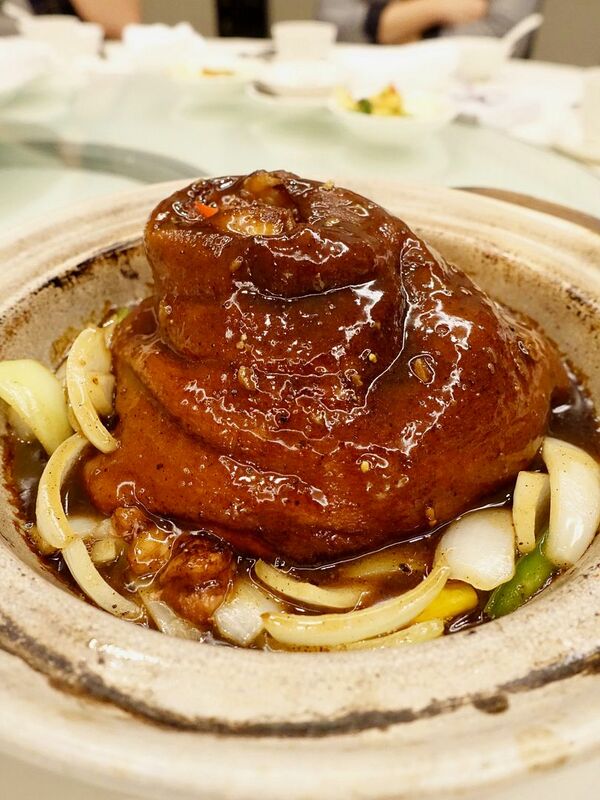 Wah Lok Restaurant at Carlton Hotel Singapore celebrates their 30th year anniversary with a revival of their best dishes in the last three decades! The following dishes are available from now till 31 August and tasted of the good old days of traditional Cantonese cooking. Miss it, and you'll regret it. We started with a refreshing Chilled Sliced Roasted Duck with Water Chestnut & Dough Fritter ($16 small). This definitely wasn't what i expected from the description. To put it simply, this is a Chinese chopped salad with juicy slices of roast meat and deep fried you tiao (which is almost cracker-like) plus refreshing bites of water chestnut, all coated with a tangy cocktail sauce. This could make a good substitute for the Chinese New Year Yusheng. 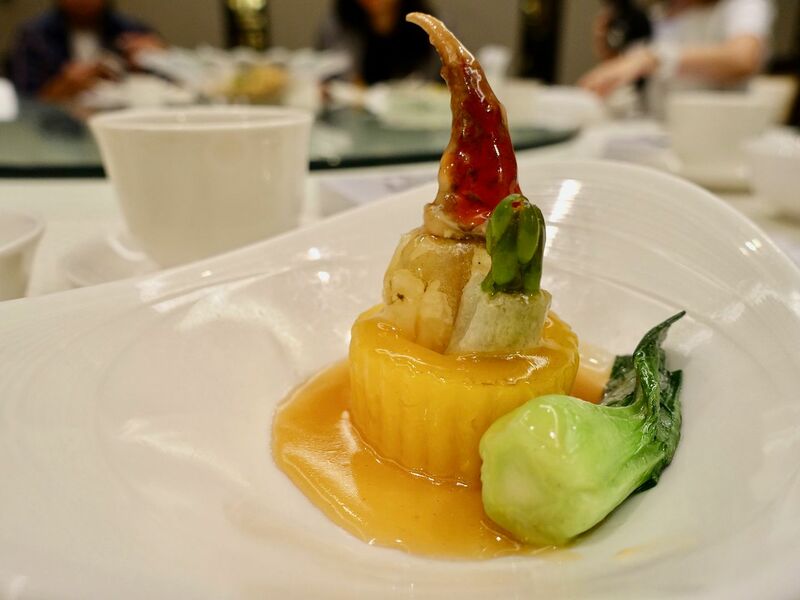 I enjoyed the simple but flavorful Braised Bamboo Fungus stuffed with Asparagus and Crab Claw in Golden Crown ($18/pax). The superior stock sauce is key to this dish. Of course, the lovely crab claw was pillowy and sweet. There's a light wok hei aroma to the dish, without any of the bitterness. Prawns are usually done rather predictably in Chinese restaurants i.e. Salted Egg, cereal coated, wasabi mayonnaise... 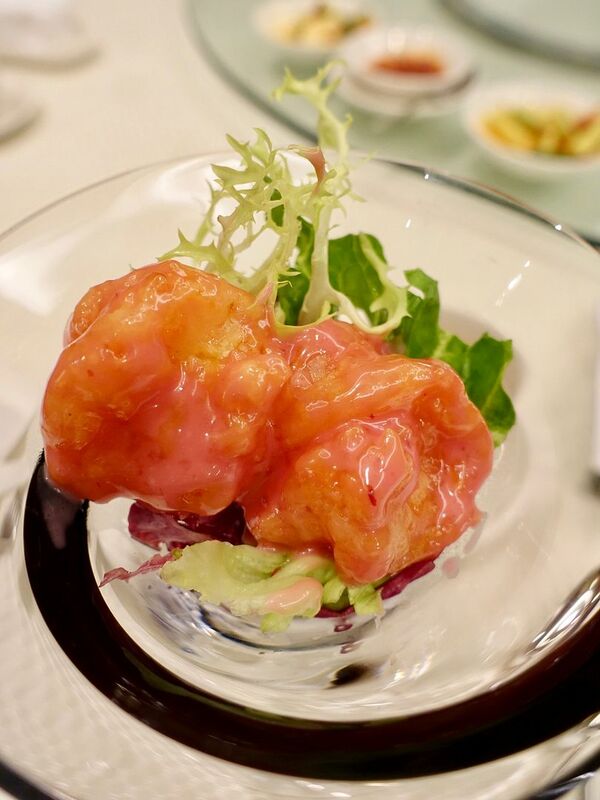 It's a first that i had Prawns with Rose Sauce ($30 small). Yes the sauce is made from the bandung syrup and thankfully it was not overpowering. The eggy and airy puff that hides the prawns was a crunchy cloud that did not turn soggy from the sauce. Try it if you're a prawn lover. 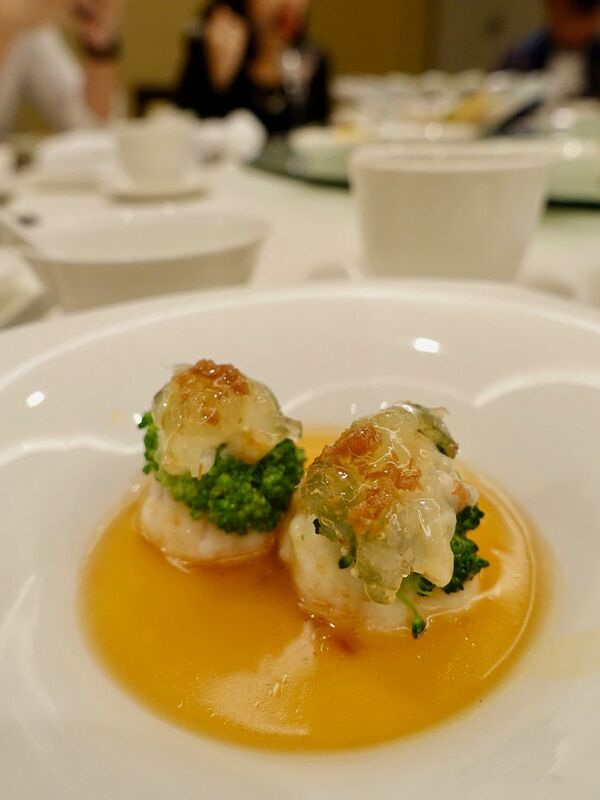 The Braised Broccoli topped with Minced Shrimps, Ham & Bird’s Nest Sauce ($12/person) is nice dish to order if you need to impress your parents/in laws. I think the older folks may love the idea of this dish since there's bird's nest in it, but i didn't think it contributed to making this dish any more special. The pièce de résistance of the meal was the Alaskan Crab ($180/kg) done two-ways but i must say one of the preparation fared better than the other. I could not stop digging into the creamy Sautéed Crab Meat with Egg White, which were like fluffy clouds with bursts of seafood sweetness. We were told to add a little black vinegar to it and woah, explosion of happiness in our belly. 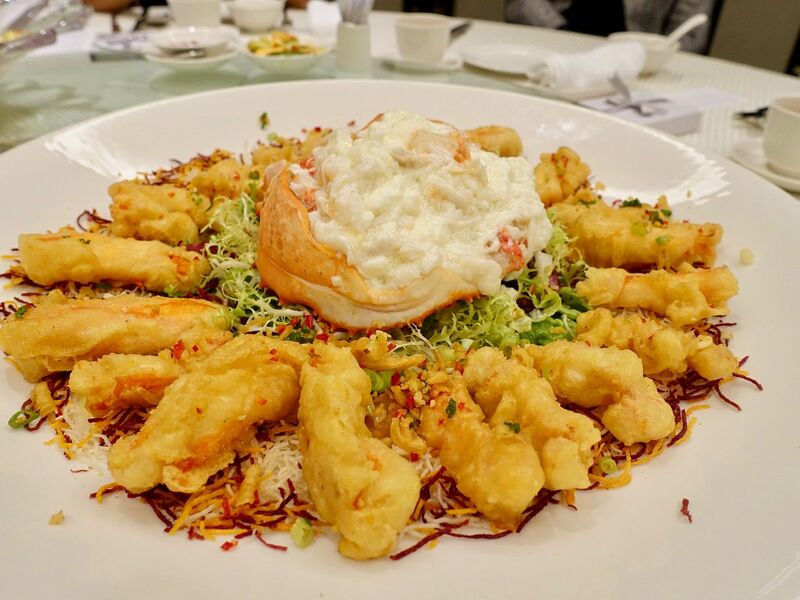 The Deep-fried Crab Claws with Salt & Chili was kinda disappointing since there was hardly any flavor on the tempura other than it providing a crunch to the sweet crustacean. 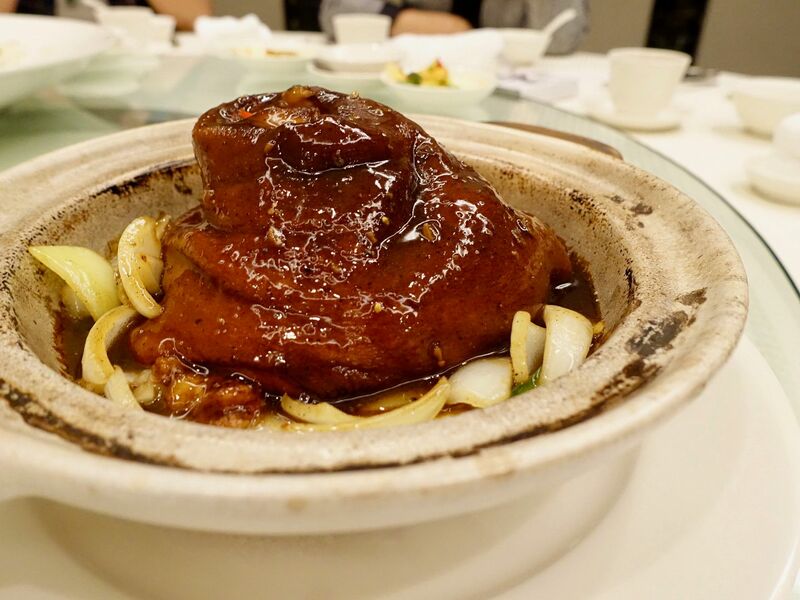 A traditional Braised Pork Knuckle with Black Pepper Sauce ($48) was the perfect ending to our mains. Tear into the collagen that wraps the firm meat (it was almost ham-like), and tuck into the spiced meat. There's no need to order a carbs dish, all you need is white rice with this hunk. 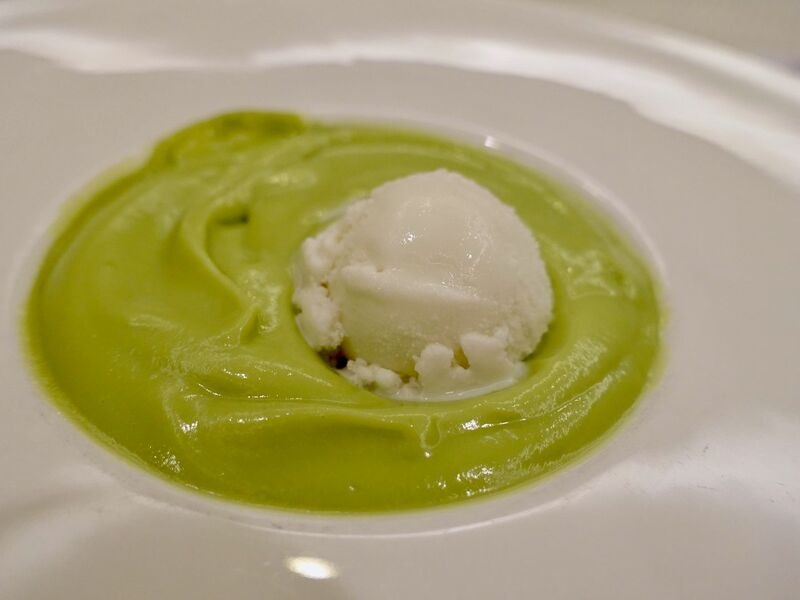 While there aren't any special 30 year anniversary dessert, the Avocado cream with ice cream is a must order imo. The tofu-like cream is paired with a scoop of coconut ice cream which is a better option than vanilla of course. 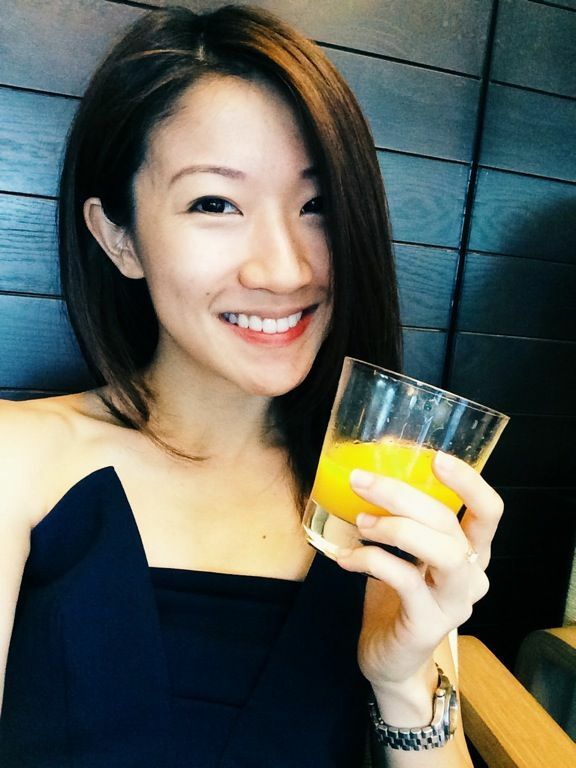 30 years is a crazy feat for a restaurant in Singapore, given the massive exodus of F&B outlets currently. 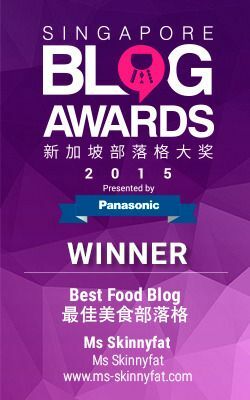 Well i guess when you try the dishes at Wah Lok Restaurant, you'll get why they are still around.